Bed bugs have been around since the early 1900’s. Although bed bugs were around at the turn of the century, there was an increase in bed bug infestations after the troops returned home from WWII. The chemical DDT was responsible for a successful decrease in bed bug infestations during that time. DDT was banned in 1972 due to health concerns and environmental risks. ✓ Treatment method ranges from temperature based treatments to chemical based treatments, depending on the company. In some case a full scale fumigation (methL Bromide/sufulryl Flouride) is required. ✓ Many other methods of treatment are: mechanical (vacuuming) and steam. Some companies may use a combination of these treatments to combat an infestation. ✓ Heat treatments work by heating the room or house to 120-150 degrees Fahrenheit for hours depending on the size of the structure. Industrial fans are used to move the heat through the home. ✓ Cold treatments work by using a “freeze machine” to blow co2 in their hiding places. Lethal temperature for freezing is 0 degrees or colder. ✓ Chemical Treatments involve directly treating the infested furniture with residual contact insecticide, and applying dust to wall voids, cracks and crevices. ✓ There are pro and cons to each treatment. Work with your pest management company to decide the best treatment method for your situation. ✓ Remember the pest are very resilient. It may take more than one treatment and method to eliminate an infestation. 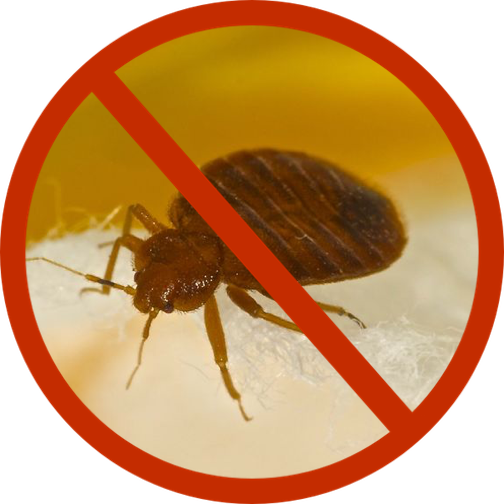 ✓ Preventative treatments and monitoring are an effective way to stay on top of bed bugs before they get out of control.